I feel like I haven't really been adventurous with my bronzers really. 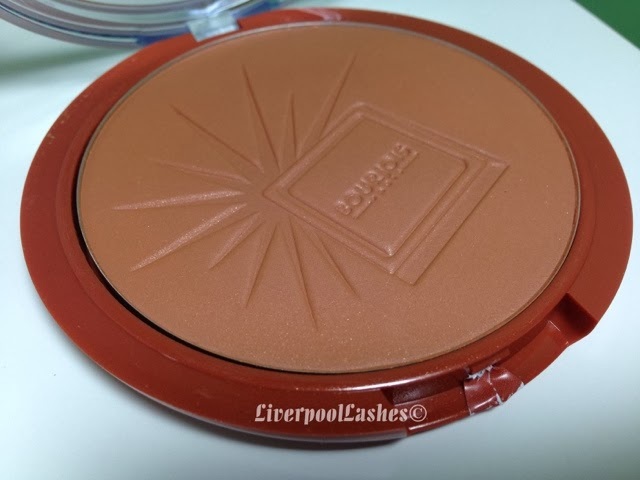 I use them everyday but I have only have tried the Bourjois Delice de Poudre Bronzing Powder which I still haven't finished and I've gone through two Nars Lagunas. 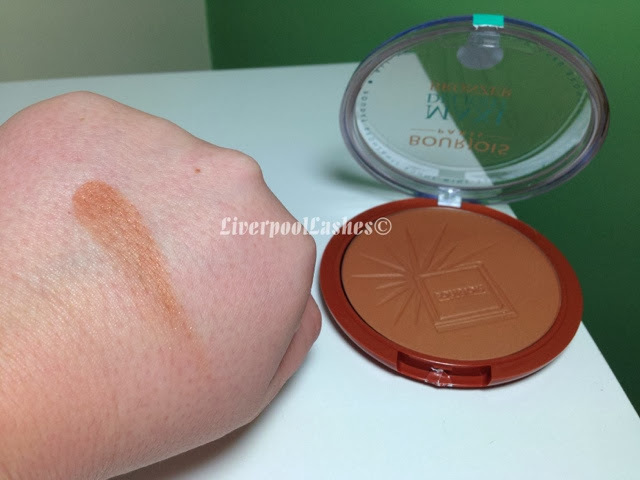 I bought the Bourjois Maxi Delight Bronzer after seeing GemsMaquillage on You Tube talking about it. 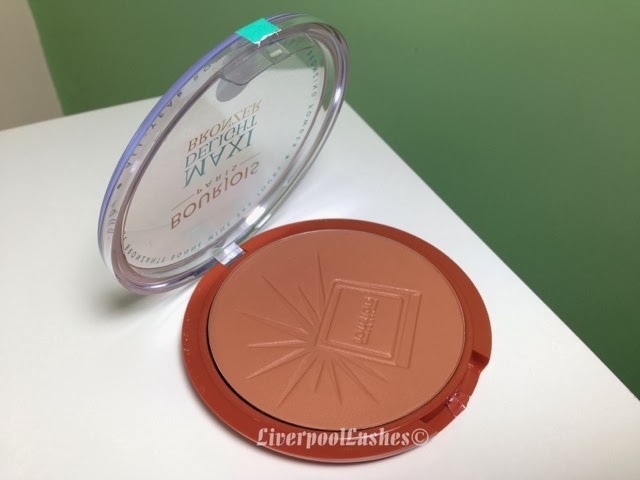 When I purchased it there was definitely no option of shade (I've since checked again) but when I got home I realised it said it was shade 02 - for olive and tanned skin. I would have said I'm definitely fair or pale although I do tan in the summer. 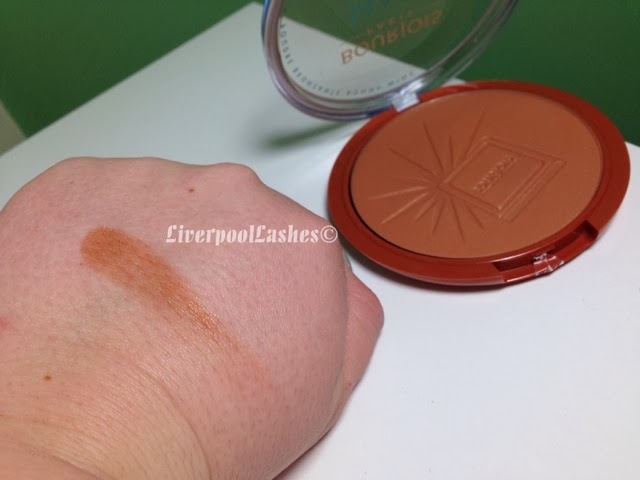 It's really weird that there only seems to be one shade but then I don't know if that just means that this bronzer is aimed at olive skin tones and that's why there is no other option. I love how huge this thing is!! Now it might end up being a little bit of an optical illusion and have a thinner pan than the other, time will tell! It has got tiny flecks of gold which I find it not detectable on the skin. The scent is a little like cocoa powder. I wanted to show you that I do think it would work for all skin types, you just need a lighter hand for the paler skin tones. Above is a heavier swatch and below is it blended out a little. Overall I actually really love this bronzer. The other one from Bourjous that I have is kicked to the curb, although to be brutally honest I do think it's pretty similar but I just don't find myself reaching for it. 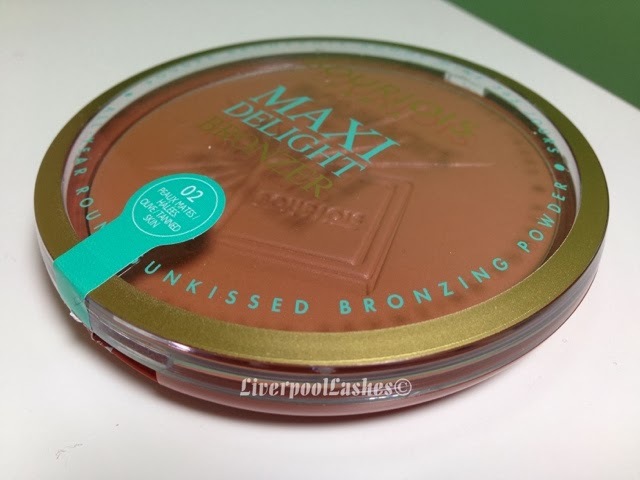 If I think long and hard about it it might just be because I dont like getting my huge powder brush into the smaller pan and perhaps this is why the Maxi Delight one appeals to me so much. The colour is a natural sunkissed look for me. I've even unknowingly got my friend onto it and she loves it too! When this bad boy runs out it will be a repurchase for sure!